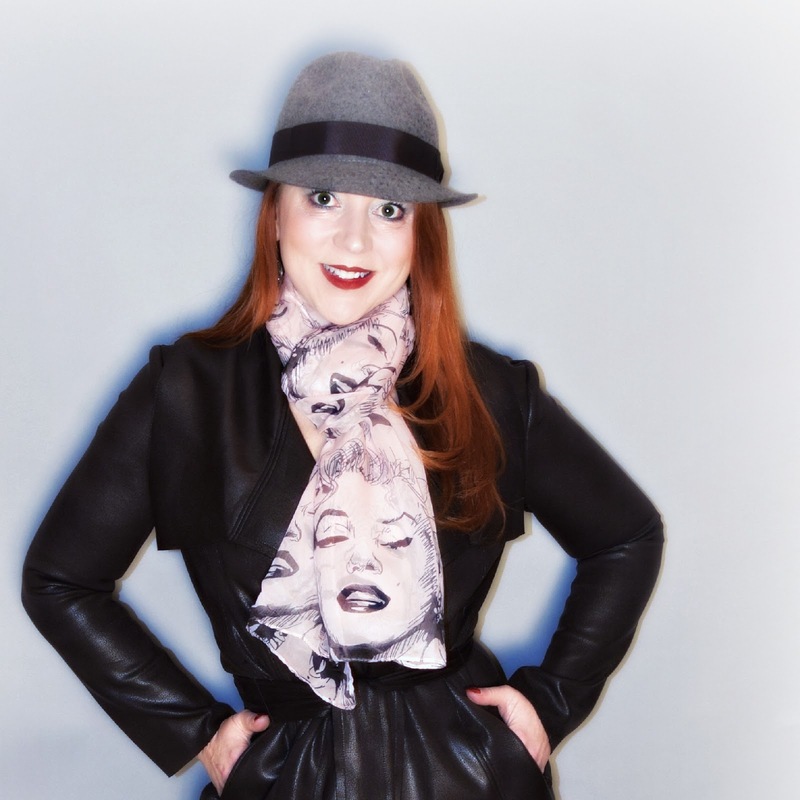 Despite Marilyn's mug on my neckwear, the glen plaid menswear trousers, trench coat, brogues, and fedora are decidedly more Hepburn than Monroe. "Greta Garbo, and Monroe. Deitrich and DiMaggio. Marlon Brando, Jimmy Dean, on the cover of a magazine. Grace Kelly, Harlow, Jean, Picture of a beauty queen. Gene Kelly, Fred Astaire, Ginger Rogers, dance on air. They had style. They had grace. Rita Hayworth gave good face. Lauren, Katherine, Lana too. Bette Davis, we love you." Fedora (Marigold Clothing in Broadripple, IN); Trench Coat (Insight, The Secret Ingredient). Love headwear? Check out the The Style Crone's Hat Attack for some amazing chapeaus! I've always loved the glamour of Old Hollywood, and many of my favorite movies of the era are at least as well known for their stunning costumes as they are for their plot. Case in point: Funny Face - Givenchy's elegant designs for Audrey's librarian turned model Jo Stockton are still relevant today, making the movie a joy to watch despite the razor thin plot. Likewise for How to Marry a Millionaire - Bacall's sharp suits and the film's introduction of the "New Look" silhouette provide a visual feast, but the plot is archaic if still amusing. You make any look shine. 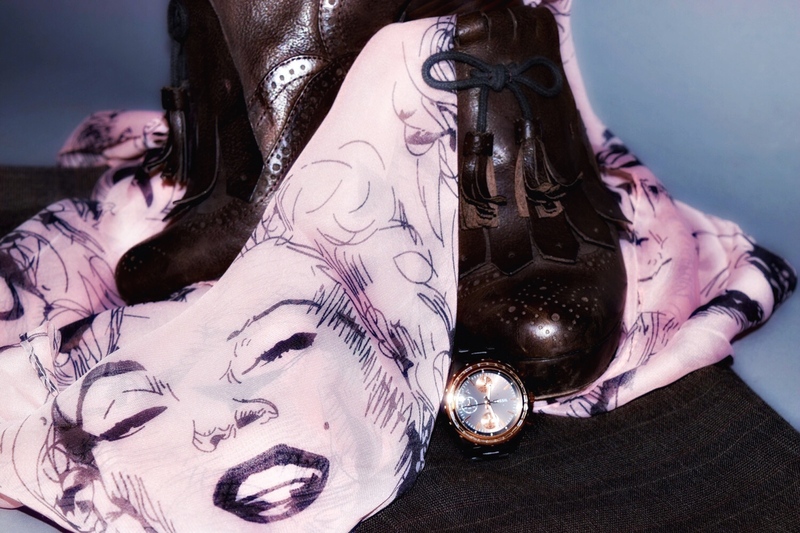 The "Marilyn" scarf with your fedora sets off your ensemble perfectly. Thank you for sharing with Hat Attack!